Description: Dine-Aglow offers unscented, 5-hour tealight candles, 500 per case. Tealights are one of the most popular lights used at weddings and other large catering events. 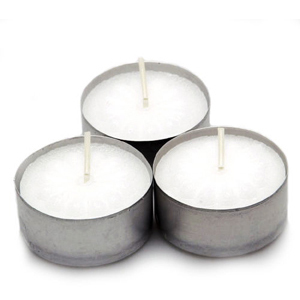 Our 5-hour tealight candles are sold in bulk and are perfect for any outdoor or indoor event.